A long drive in a car means baby will need to eat! Save yourself a stop by bringing along a travel bottle warmer to put into your car's 12V power socket. 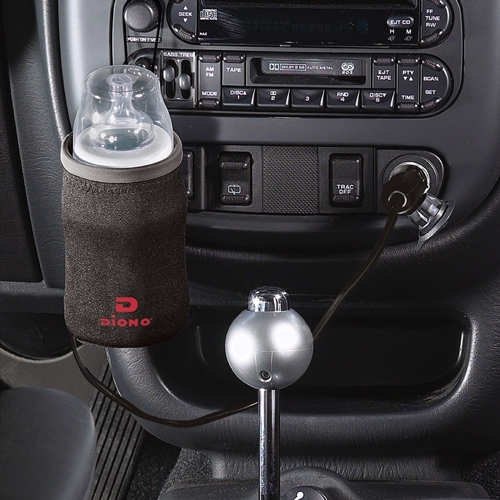 The Warm 'n Go from Diono features neoprene that stretches and contours to fit any shape bottle, a power indicator light and a thermal fuse to prevent overheating. The perfect solution for kids in booster seats or those with special needs, MyBuckleMate keeps backseat buckles propped up and easy to reach. Safety while on the road can be a source of anxiety for many. Ease your mind with the Impecca Poweritup 4-in-1 SafeT-Light; 1 tool that contains a flashlight, device charger, emergency escape window hammer, and seatbelt cutter. Travel pillows are a must for comfortable car sleeping. The Sneck attaches to the headrest with a Velcro strap so it stays in place, and has a stash pocket for storing MP3 players or small toys. Keeping kids entertained on a long trip is always a challenge. 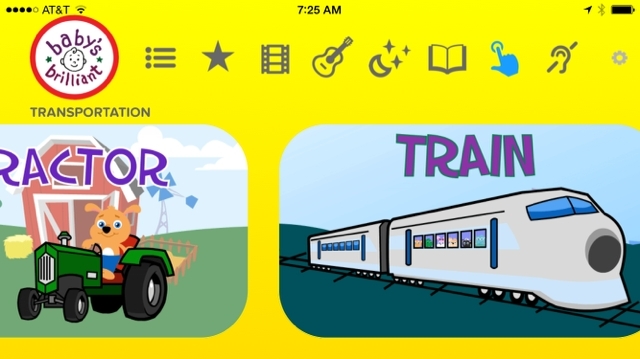 Before taking off, stock up on travel games that kids can play in the car. The Bellz Magnetic Game from Wiggles3D is simple and challenging at the same time. 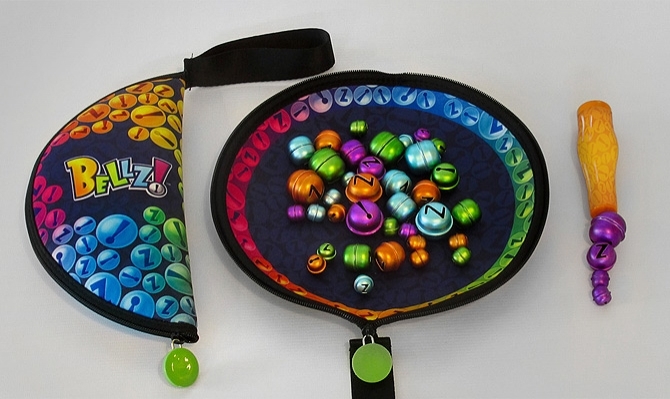 The travel pouch opens up to become the game arena and includes a magnetic wand and 40 bells of varying colors and sizes. Players use the wand to pick up bells and the first player to collect 10 bells wins. The catch? They have to be 10 bells of one color! If the player picks up any other color with the wand, their turn ends. 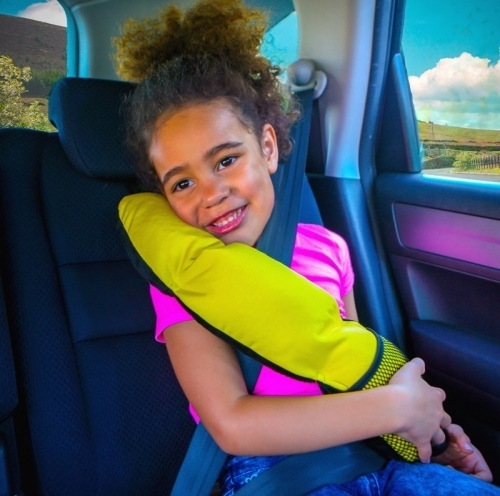 Even adults often like to bring along a blanket when traveling, but with space at a premium in the car, you can't bring your king-sized down comforter! 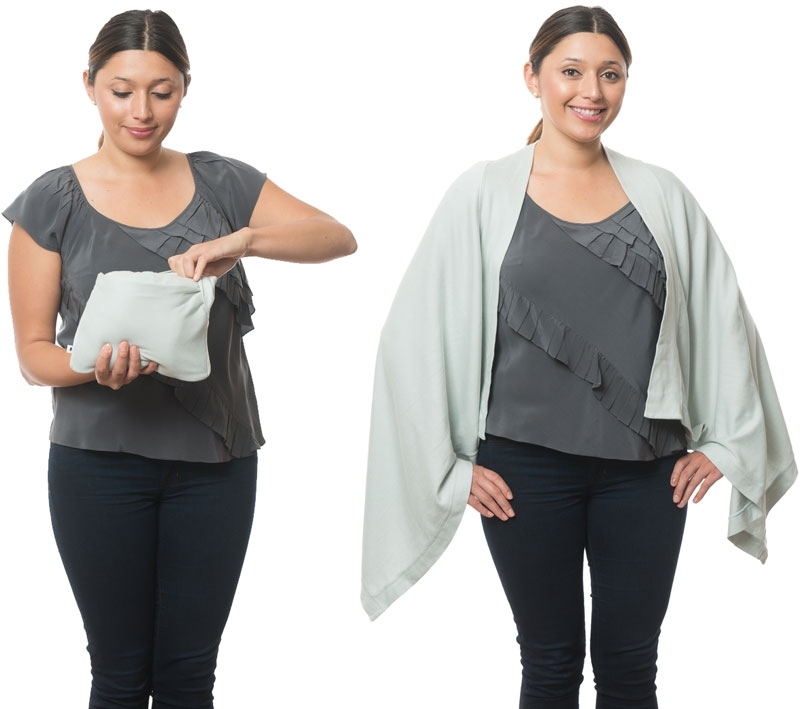 Instead, try the Secret Sweater Shawl & Travel Blanket - designed to fold into its own little pouch for easy transport and access at a moment's notice. 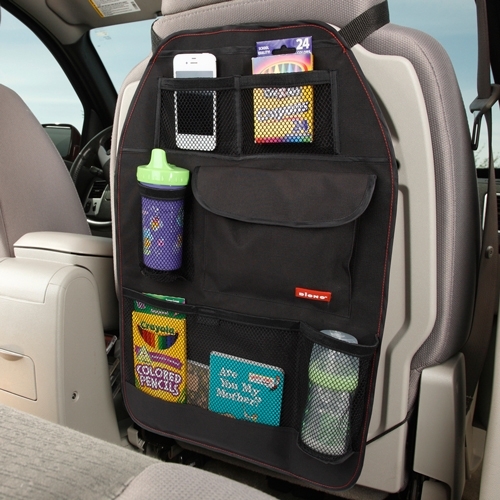 Try a seatback organizer to keep the car organized and necessary items at hand. Diono's Stow 'n Go has seven full sized pockets and two drink holders in a washable, waterproof fabric. What road trip would be complete without snacks! 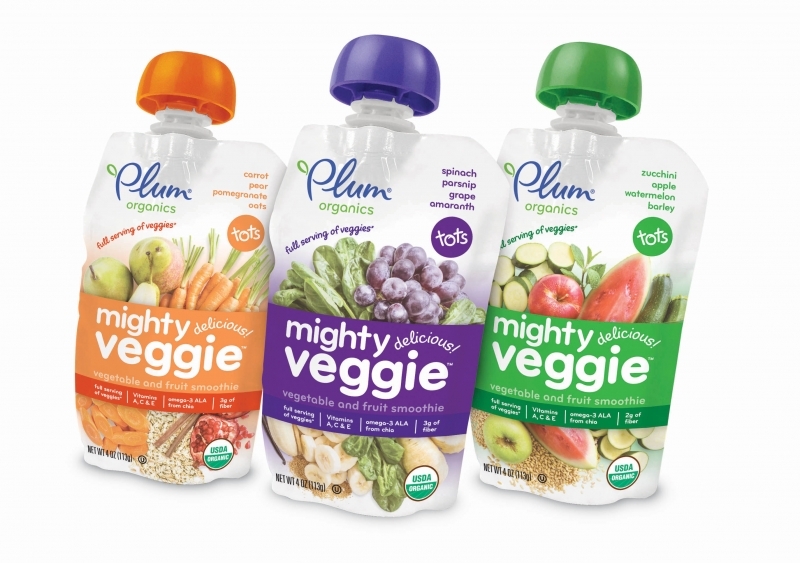 Mighty Veggie pouches from Plum Organics don't need to be refrigerated, and contain no chemicals or harmful preservatives for your little ones. Sleeping in a car with kids can be a challenge. 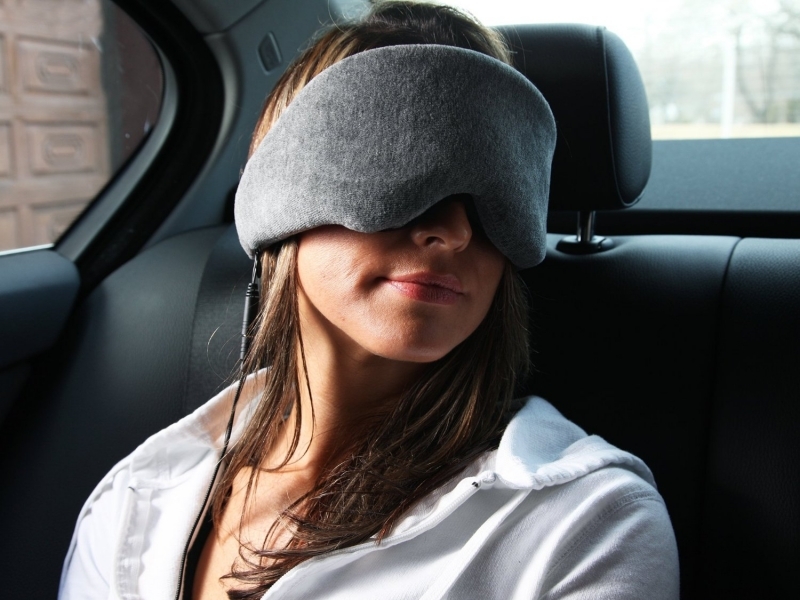 Get some beauty rest with the 1 Voice Sleep Headphones Eye Mask. The memory foam eye mask has a velvet covering to block out light, while built-in over-the-ear headphones block out ambient noise to create a more peaceful environment to rest. In today's world, packing for a trip isn't complete until your tablet or phone is loaded up with entertainment for the kids. The Baby's Brilliant interactive app is designed for children from 6 months to 5 years old and is filled with educational and entertaining videos and music.